Guide price £695,000 - £720,000. 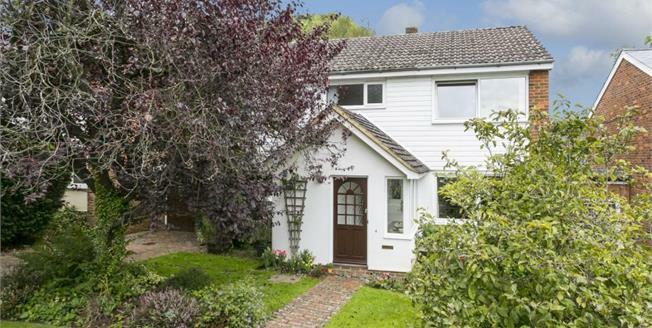 An impressive chain free four bedroom detached property in the popular village of Langton Green on the outskirts of Tunbridge Wells. Accomodation The accommodation comprises large sitting room with fireplace, a kitchen and open plan dining area leading through a French door to the garden. Stairs lead to four good sized bedrooms and a family bathroom. The property benefits from a gas central heating system and double glazing. Outside A driveway leads to the large versatile garage. The rear garden is mostly laid to lawn with mature trees and shrubs and a secluded patio area. Location The property is set in a quiet part of Langton Green on the outskirts of Tunbridge Wells with a picturesque village green, pub, outstanding primary school and a private preparatory school all within easy walking distance. It is in a small cul-de-sac towards the end of a no through road on the edge of the countryside.